Who knew this could inspire lotion? It may not sound very pampering or glamorous, but Corn Huskers lotion is one of the best beauty treats you can indulge in. More than just a basic moisturizer, this multipurpose product is a must for any medicine cabinet. Though your drawers may be overflowing with lotions that smell like baked goods and creams that promise to defy the laws of nature and keep you youthful forever, chances are these moisturizers don't do much more than make you smell good and keep your skin soft. Those are obviously great benefits, since lotion is meant to provide you with naturally unattainable suppleness, but it would be so much more satisfying if your favorite moisturizer could do just a little bit more for you. What if it could keep your arms and legs soft, prevent your hands from cracking, heal your eczema patches and even provide some assistance in certain intimate bedroom matters? Well, you probably couldn't ask for much more of a personal care product. That's what makes Corn Huskers lotion such a crowd favorite. Before delving any deeper into its wonders, though, you might be asking yourself what the name is all about. It's certainly not very glamorous, and the clinical appearance of the green, yellow and white bottle doesn't do it any favors either. Don't be fooled, though - what it lacks in the elegance department, it more than makes up for in its functionality. This product was originally developed in 1919 specifically for farmers who husked corn. Since their bare hands were frequently exposed to cold, dry air and brittle husks, their skin often took a beating. Rough, dry hands were impossible to treat with basic moisturizers, but this oil-free formula did the trick time and again. The result was an instantly successful product that has since grown to become a favorite of working men. Very few moisturizers receive the sort of rave reviews from both men and women that Corn Huskers does. Not only is it renowned for its basic moisturizing properties, it's also touted as a wonder treatment for a variety of skin concerns. Best of all? It's not just for your hands. 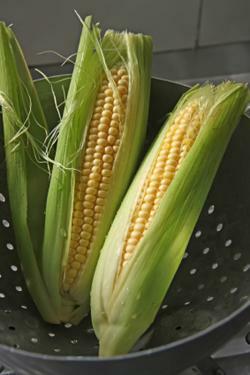 Many individuals have reported that their eczema symptoms have minimized with regular use of Corn Huskers. Though some say it has not completely eradicated the problem, others say it has provided them with more relief than any other over the counter moisturizer thus far. Individuals with psoriasis often experience difficulty finding moisturizers that are non-irritating, yet many patients reveal that Corn Huskers has provided them with relief. Several people report that the lotion has changed the condition of their skin, transforming once-scaly, itchy patches into healthy, calm skin. Anyone with severely dry hands knows just how uncomfortable it can be. It's not just run-of-the-mill dryness, but bleeding, cracks and unsightly sores that make the hands feel miserable. Corn Huskers has been proven to make a world of difference, providing non-greasy moisture that penetrates quickly and works just as fast to heal and soothe irritated hands. It works wonders for farmers' hardworking hands; just imagine what it will do for yours! Attention, guys: Here's another reason to rely on Corn Huskers. Many men use the product as an after shave balm to soothe and comfort their skin. Some even report using it pre-shave by massaging it into the skin to soften the hair. Yes, you read that right. Corn Huskers has been relied on for years by couples seeking a less costly alternative to traditional personal lubricants. Due to its consistency and malleability, it works just as well as basic lubricants to provide moisture. Of course, a patch test is highly recommended! Though for some the product itself far outweighs any negatives, others have revealed that the scent - which has been described as "lemony," "feminine" and "perfumey" by individuals who've tried and reviewed the product - is simply too cloying. As with any scented product, it's best to test it out for yourself and see if its benefits outweigh the downside. If you experience a reaction, move on - it's not worth it.